If you haven't already thawed your Cool Whip, do so now. 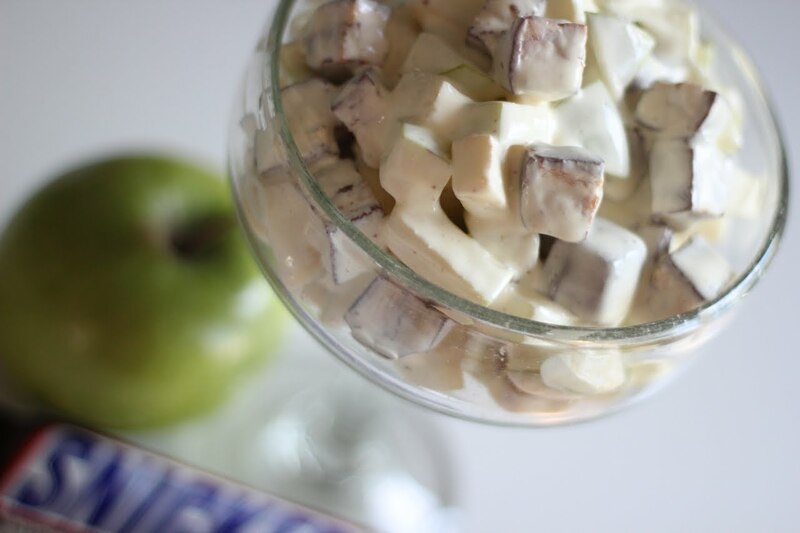 In a large bowl combine the cubed apples and Snickers and set aside. In a medium bowl make your pudding using the pie directions. Once it has thickened, add the thawed Cool Whip. Don't worry if the mixture becomes runny. Pour the pudding mixture over the apple and Snickers mixture and stir to coat well. 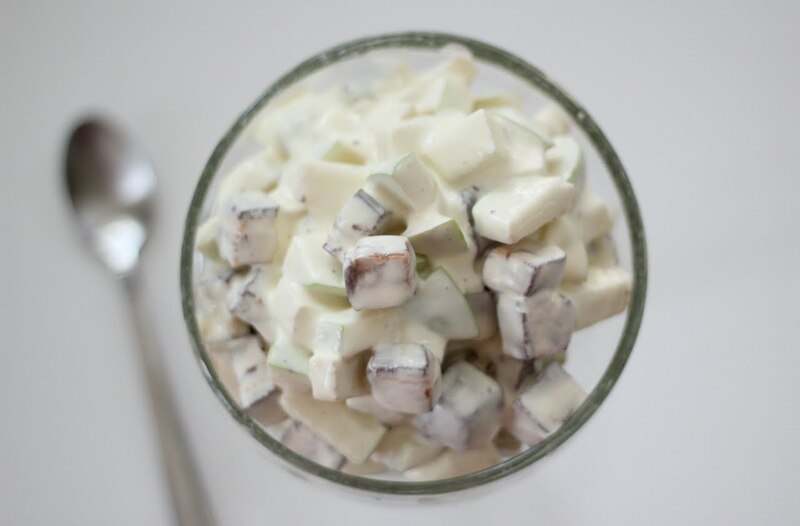 Serve immediately or put in the fridge to stay cold! That does sound very strange but I'm sure is delicious! Great food styling in your pics! Thanks for the unique recipe! I have no idea where I had this one, but, like you, I was downright shocked at how good it was. What a weird but delicious mix. Right there with ya, Haley. I had this awhile back and have always wanted to find the recipe. Well, here it is! That is a major favorite with the girls at girls camp. We have had it every year for the ten years I have been going!